Since the release of the movie "Blackfish" in 2013, the tide is finally turning (in the US), against the inhumane practice of holding orcas captive for the purpose of public entertainment and profits. The documentary goes behind the scenes to reveal the truth of the hell on earth, life-experience of captive orcas, from the moment of capture, to the deprived and forced unnatural lifestyle they are subjected to in marine parks. The central character of the documentary is Tilikum, a 12,000 pound giant, formerly from the Icelandic seas, kidnapped in 1983 at the age of two years from his mother, by human predators. His life was destined to become an absurd and cruel reality, housed in a concrete pool, turning tricks for marine park audiences, a life far removed from his family pod in far-reaching seas. Nearly three decades later, Tilikum would become known for his killer instinct, singled out in the death of three persons in separate incidents, at Sealand of the Pacific, British Columbia, and at SeaWorld, Orlando, Florida, his current home, which could be viewed, as a natural consequence of his deep-seated mental and physical frustration after years of being held captive. Inherently wild and aggressive, Tilikum was displaying a natural tendency, for his type. Fast forward 18 months from the release of "Blackfish" in July 2013, and the world is witnessing the rapid decline in SeaWorld's reputation and financial worth. The film gained momentum due to CNN's repeated airing of "Blackfish," as lamented by former CEO Jim Acheson in the November 2014 Bloomberg Newsweek article by Taro Greenfeld. The resultant awareness and support generated for Tilikum and other orcas in similar predicaments, has been a long time coming. Until now, the sad reality was masked, SeaWorld followers seeing an artificial picture of these seemingly contented giants, performing tricks on command for food morsels, man's dominance and control thrilling the audience. Who would ever have imagined that these sensitive and highly intelligent giants of the ocean could be captured and coerced into such a degrading lifestyle? The methods applied in the process, including the kidnapping of young calves from their mothers (as in Tilikum's case) thus breaking up close-knit family units, stressful transportation, and forced training. 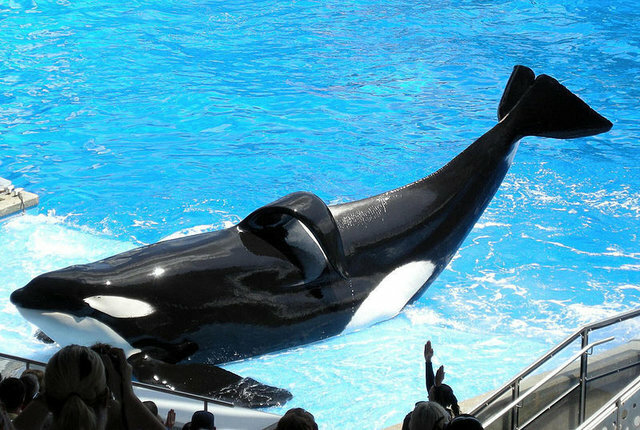 What can possibly be the justification for the cruel, alien lifestyle imposed on Tilikum and his fellow orcas, seemingly sentenced to life imprisonment in swimming pools, and for what crime? It is time true justice was served. As with any animal welfare battle, creating awareness of the issue, is vital in bringing about change. Public sentiment and action on a grand scale must follow, in order to convince legislators that the exploitation of wild animals for entertainment and profit, must stop. Export of these cetaceans to other marine parks or aquariums should be banned, in the interest of animal welfare. Much has been said in the fight to end the freakish lifestyle that Tilikum and other orcas are subjected to at SeaWorld, but it won't be enough until the public outright, stops supporting an industry which capitalizes on animal suffering. Thirty-two years after his capture, Tili is still at the mercy of an archaic circus-themed regime, compliance being the main order of the day. It is time for the tide to turn overwhelmingly in favor of Tilikum, whose dignity has suffered long enough. Let's all make the call to stop animal abuse now!